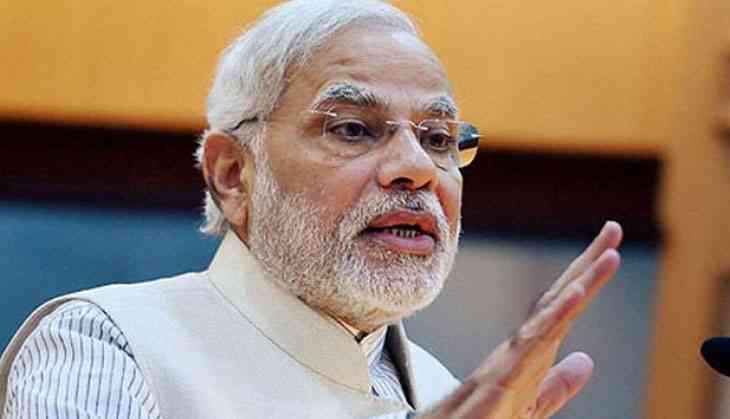 On 22 April,Prime Minister Narendra Modi condemned the Taliban suicide attack that killed more than 50 Afghan soldiers on an army base in northern Afghanistan. "Strongly condemn the cowardly terror attack in Mazar-i-sharif. Our prayers and condolences to the families who lost loved ones," Prime Minister Modi tweeted. According to Zulmay Wesa, commander of 209th corps in Balkh province, a group of Taliban suicide attackers, wearing army uniforms, managed to pass the first security gate on Friday afternoon, The Guardian reports. When they were stopped at the second gate, one of the attackers blew himself up, and the rest entered the base, Wesa added. They went straight to Mazar-i-sharif mosque, where the Afghan National Army (ANA) were praying, and opened fire. "After prayer we went outside and saw an army vehicle with three to five people in. They came out and opened fire with Kalashnikovs," said a bodyguard at the base, asking not to be named. Elsewhere on the base, at least one attacker went on a shooting rampage in a dining facility, according to an American security official. He also confirmed that "probably more than 50" had been killed in the attack. Meanwhile, in a statement, the U.S. military in Afghanistan condemned the attack. "The attack on the 209th Corps today shows the barbaric nature of the Taliban. They killed soldiers at prayer in a mosque and others in a dining facility," US commander John Nicholson said in the statement.